Profession before joining politics Screenwriter in the Tamil film industry. Spouse Name 3 wives named Padmavathi, Dayalu & Rajathi. Children 5 son M. K. Muthu, M. K. Alagiri, M. K. Stalin, M. K. Tamilarasu, M. K. Selvi & 1 daughter Kanimozhi. Muthuvel Karunanidhi was an Indian politician who served as the chief minister of Tamil Nadu on five separate occasions. He was born on 3 June 1924. He served as the president of the Dravida Munnetra Kazhagam (DMK), a major Dravidian political party in the state of Tamil Nadu. Karunanidhi led the party since its founder, C. N. Annadurai, passed away in 1969. The DMK chief also worked as a playwright and screenwriter for Tamil cinema. He was known as 'Kalaignar' (meaning 'artist') by his supporters. He breathed his last on 7 August 2018, just a few days after he completed 50 years as DMK's president. Karunanidhi got inspired to enter into the realm of politics at a mere age of 14 and this was believed to be after hearing a speech of Justice Party's Alagiriswami. His political career commenced with his involvement in Anti-Hindi agitations. He also formed an organisation in his locality for the local youth and circulated 'Manavar Nesan,' a handwritten newspaper, among its members. 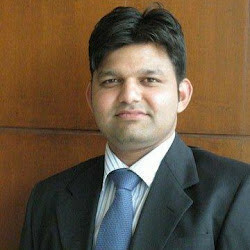 Subsequently, he founded 'Tamil Nadu Tamil Manavar Mandram,' a student organisation. It was the first student wing of the Dravidian Movement. Karunanidhi got engaged in social work along with other organisation members. He started a newspaper which grew into 'Murasoli', the DMK party's official newspaper today. Karunanidhi's journey in Tamil Nadu politics started with his involvement in the Kallakudi agitation in 1953. The original name of this town was Kallakudi but it was later changed to Dalmiapuram in order to name it after a cement baron who had constructed a cement plant there. The DMK was eagerly protesting to switch the name back to the previous one. During the protest, Karunanidhi was arrested and two people died. Karunanidhi was first elected to the Tamil Nadu legislative assembly in 1957 from Kulithalai seat of Tiruchirapalli district. In 1961, he became the DMK treasurer and the following year, he assumed the position of deputy leader of opposition in the state assembly. When the DMK came to power in 1967, he became the minister for public works. After the death of C.N. Annadurai in 1969, Karunanidhi became the Chief Minister of Tamil Nadu. He has held a number of positions in both government and party during his political career in Tamil Nadu. 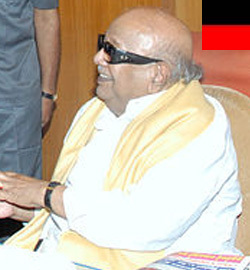 Karunanidhi suffered many poll defeats against his main opponent M.G. Ramachandran's ADMK until the death of the latter in 1987. Karunanidhi became the Chief Minister of Tamil Nadu in 1996. After completing a full term, his party suffered lost to J. Jayalalithaa's AIADMK in 2001 elections. He was, however, back in power 5 years later after his coalition party won from J. Jayalalithaa in the 2006 polls. After completing a full term in office, Karunanidhi suffered defeat from Jayalalitha's AIADMK in the Assembly elections of 2011. He also represented Tiruvarur constituency in Tamil Nadu legislative assembly. He has been elected to the Tamil Nadu Legislative Assembly 12 times and once to the erstwhile Tamil Nadu Legislative Council.